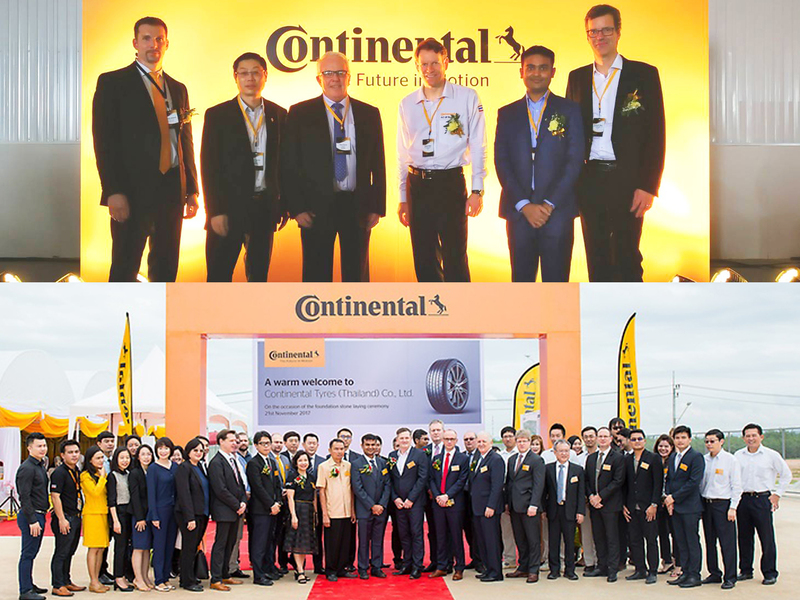 Thailand’s leading tire manufacturer, Continental recently celebrated its Foundation Stone Laying Ceremony, marking the start of construction of its new Greenfield tire plant in Rayong. The Continental Thailand factory is located on a nearly 500 Rai land plot in the Hemaraj Eastern Seaboard Industrial Estate. The project all together has a GFA of approximately 100,000 sq.m. Then on March 15, 2018, Continental celebrated the installation of its first machine installation phase which starts only four months after foundation stone laying. The Greenfield will be equipped with advanced tire manufacturing technologies with investments of around € 250 million will create around 900 new jobs until 2022. Meinhardt Thailand is providing Construction Management services to the project to ensure that it runs smoothly and is constructed to the highest quality and efficiency standards on time. Completion of construction works is set to be at the end of 2018 and the official start of production will be in 2019.